Tired of the same, old cliched looking cakes? 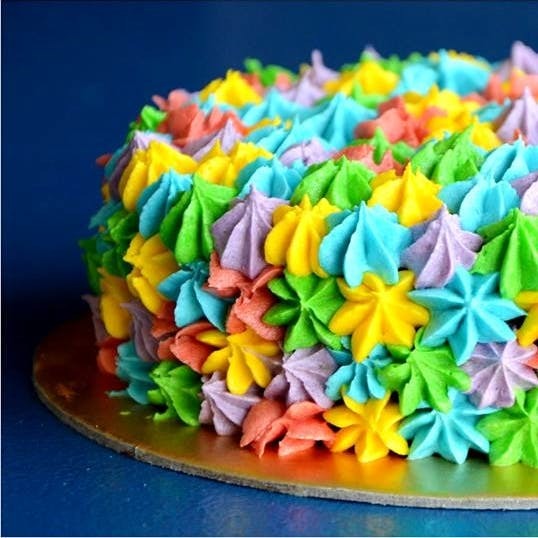 This bakery makes cakes and they look like they are straight out of a psychedelic dream world. Cakes are important. No celebration is ever complete without one. Now imagine how absolutely perfect it would be to get a customised-to-the-brink cake. That's exactly what the folks at Petits Fours are doing. And these might just be the most perfect looking cakes that you have ever seen. Be it a moustache for your dad, or a fountain of Gems for your little sibling, they can do it all. All the theme that your party will need is this cake. Actually, even their cakes that have no theme are absolutely beautiful, so much so that you won't want to cut them. But that's not all. They also make puddings, cupcakes, tarts pies and more. Their customised cakes start at INR 1,000 per lb and the normal ones are start at INR 550 per pound. They also make French desserts, on order. You can pick up your order from their workshop located in Alipore. They do not deliver, so it might be a hassle for people living far away to pick their orders up. They have minimum order for cupcakes. If you order the mini ones, your order must be 15 pieces or above, for medium ones, 8 pieces and above, the large one will need an order of 6 pieces and above.